TTW FNV Redesigned and FO3 Redesigned? General mod discussion and requests. Does FNV Redesigned 2 and FO3 Redesigned work with Tale Of Two Wastelands 3.2? If so do you just install it normally or is there a special way it needs to be installed? Also thank you for creating this beautiful mod. 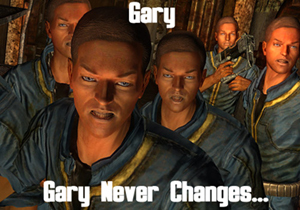 Re: TTW FNV Redesigned and FO3 Redesigned? No, I'll be finishing up the merged version soon. Roy can you please let us know when such a mod would be ready ? I'm playing TTW for the first time and my heart is full of joy for such a great achievement on your part. But I would hold out some days if that mod is coming soon. I'm also reticent about going to New Vegas until the someguy series are safe to install. Sorry if it's troublesome to ask these questions. Things will come in time, I'm on break after 3 years of hard work. It will come with 2, Qwinn will do 3. I keep finding a link to the merged mod, but it keeps saying i don't have permission to view the forum. is this the old version? Stuff behind links that you don't have permission to is obsolete and incompatible with current version of TTW.